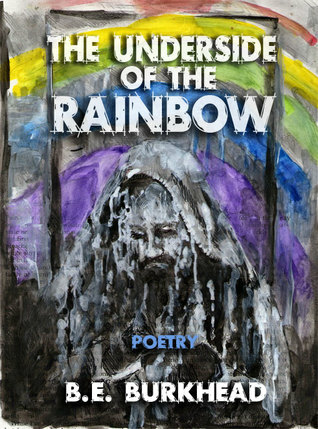 THE UNDERSIDE OF THE RAINBOW hits on all cylinders. There is a lot to think about with this collection of poems. First of all, I think it is incredible that B.E. Burkhead doesn’t write his poems down until he remembers them verbally. He recites the poems over and over until he puts them on paper later. It is very Homeric, which is even more impressive. The poems are raw and vividly colored. B.E. Burkhead’s poetry is packed with emotion and horror. Love, lust, and sadness pour from the poems. The poetry is naked and honest. As always, I have a few favorite poems that I would like to share with you. dead squirrels make such lovely friends. through the gags, the sobs and the tears. for they swore it never would last. The cover caught my eye as I was window shopping on the Kindle store. I enjoyed all the poems in this collection. I think you guys will like this one, too.